How to save almost $15,000 per year by turning 65. It seems crazy right? How can you do that? I'm often asked to speak with people who are about to turn 65 because their insurance agents know that I’m good at helping people determine which Medicare plan is the right one for them. My background in Financial Planning has given me the ability to ask the right questions and to really listen for the answers, to determine what type of plan is a good fit for the client. Many insurance agents might sell a plan here and there, but they do not specialize in Medicare planning. This is what sets me apart from the agent that occasionally sells a plan. My goal is to help each person individually and to do that, I can't just represent one plan. 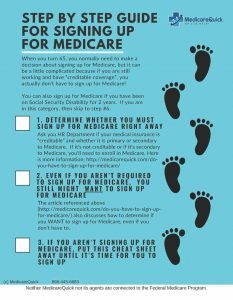 Medicare Planning is not a “one size fits all” program. As a broker, I’m able to represent many different plans, and by working with many plans I’m able to match my client to the company that best suits his or her needs. So back to our story….How to save almost $15,000 per year by turning 65. I recently received a call from an insurance agent asking me to speak with one of the owners of a company he worked with. The owner was about to turn 65, and the premium for him for that plan was $1400 per month, and they were very interested in finding out which plan would be a good fit, and if they would be able to save any money. We sat down and looked at his wants and needs. The business owner wanted as much flexibility as possible. He was in good health and didn’t take any medications. As I mentioned before, his current group insurance plan was costing him $1400 per month, just for his own premium. We worked out the details, and a Medicare Supplement (Medigap) Plan F was going to be the best fit for him. This plan would allow him to see any doctor in the United States that accepts Medicare. He would have no networks and wouldn't have to ask anyone for a referral. He could see doctors while he traveled, and he could move without having to change his plan. He was astonished to find out that his costs were going to go down quite a bit. Even though he was going to have the plan that covered all of the gaps from Medicare, (see Plan F) his total costs were going to be $275.80 per month. He would not have to worry about his doctor leaving the Network because he wasn't going to be on a network. He wouldn't have to worry about a Maximum Out of Pocket in the future because there would not be an out of pocket expense for any covered event. It would all be covered under his Plan F Medicare Supplement Plan. And even though he currently didn't take any medications, he purchased a low premium drug plan so that he wouldn't get any penalties in the future for not signing up when he was first eligible. That totaled $275.80. Since the business owner was currently paying $1400 per month for his group insurance plan, he wound up saving $1124.20 per month or a total of $14,490.40 per year by working with me! So there you have it. That's how to save almost $15,000 per year by turning 65…and by working with a good Medicare Insurance agent! Not everyone will have such a dramatic savings, and not all decisions are made based on savings. As a matter of fact, I could have saved this business owner even more, but he preferred a particular insurance company, which was roughly $30 per month more than the least costly plan in his zip code. The client was happy that he got great coverage for less money, and the insurance agent who referred him to me was happy because he looked like a hero, and was able to free up some cash to help him afford a life insurance plan he needed for the business. If you have questions about Medicare Health Plans, and how to determine what the best plan is for you, give us a call at 866-445-6683, or click here.